Whatever your needs, Tech Medics can build the right computer for you or your business. 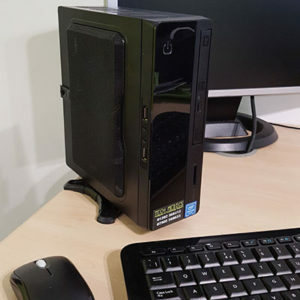 If its a simple office machine or everyday computer for home to a high powered gaming rig or server. We specilaize in making a custom computer to suit your needs. We can talk about specs and pricing to suit you. Install whatever operating system you like. Which software you require, help setting it up and install onsite. Recommendations on useful and free software and antivirus and backup solutions. You are not just buying a box from us we want your PC to be the best it can be for your money. So even after years go by you’ll still be happy with your computer. All of our custom built computers come with at least 1 year warranty and many of the parts we use come with 3 years warranty. Thats because we believe in quality parts and products from decent manufacturers who stand by their products. No more number selling, we will build you the best PC your money can buy. Why? Because we are not sales people we are Technicians so we build the best for your budget not blinding you with the highest numbers. All of our new builds come with SSDs (solid state drives) as standard which makes a huge difference to speed. We also bundle in lots of useful free software such as office starter, free antivirus etc. Your system will be free from any big brand bloatware that slows it down and just have what you need and want. If you also require something very special then we can build you a computer into something unique. 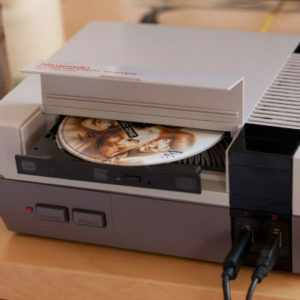 We have made a few very special pcs in the past including a NES PC. (Nintendo’s first console) A Shabby Chic PC. Lego PC and a super small form factor pc. So give us our next challenge, think of us as American Choppers vs Tanked TV series, making custom computers. Some of our main business clients are fabrication specialists so we have the right contacts to build whatever you can dream of!